Thanks to the Statehood Quarter Program, coin collecting has never been more popular. 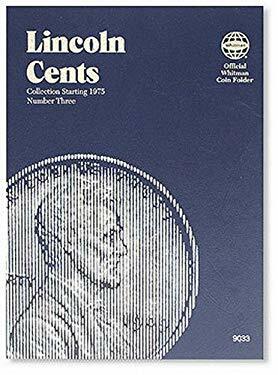 And to take advantage of this new interest in the hobby, we're giving our complete line of Whitman Classic Coin Folders a beautiful new look. -- Multi-million dollar cover updates for the entire Whitman line! -- True-to-life foil colors reflect and beautifully represent the coins each folder holds -- e.g. Copper foil for Lincoln Cents, Silver foil for Jefferson Nickels. -- Traditional Whitman blue vinyl matches past Whitman products.